During the flavour blending I did for #035 I came across a compelling blend of flavour between basil and nectarine. I’d bookmarked that as an idea to come back to when I had better control over my DMS reduction and could use pilsner malt. Thanks to my heat stick boils, I’m finally ready to tackle more authentic Belgian-style ales. Even the fruitier, yeast-forward Belgian beers have a strong base of dry crackery pilsner malt, so attempting a tripel or golden strong before now was out of my reach. Pretty standard burn-down rate. What you don’t see is the 1/2L of cold water added at 45m to accelerate the dropoff. I purposely kept the recipe simple. 80% pilsner malt (Weyermann, not a North American maltster), 20% cane sugar, and just enough bittering Hallertauer. With an average 149F mash rest and that much sugar, I was going for a nice dry finish. Around three weeks into fermentation I hit the first snag; Wyeast warns that 1388 tends to stall around 1.035, which is exactly what happened. 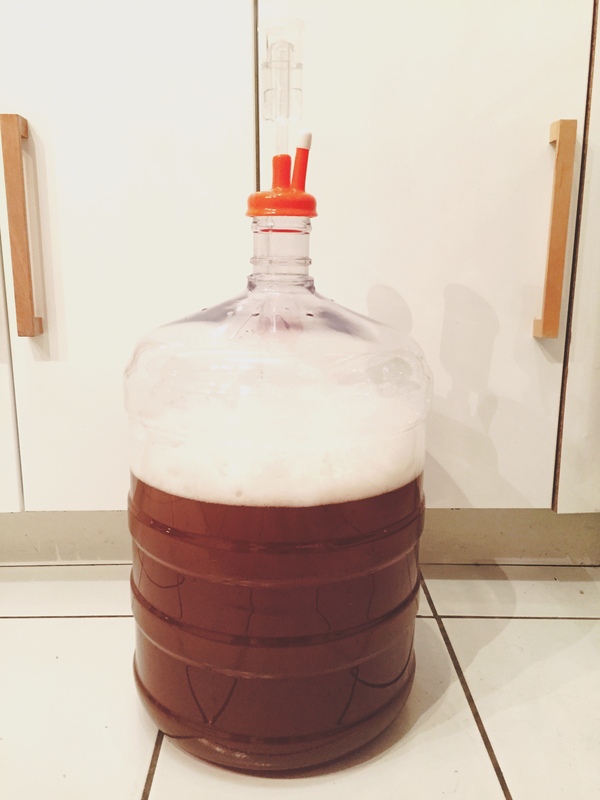 Rousing didn’t work so I racked the beer, hit the yeast cake with a light starter to get it active again and re-pitched. 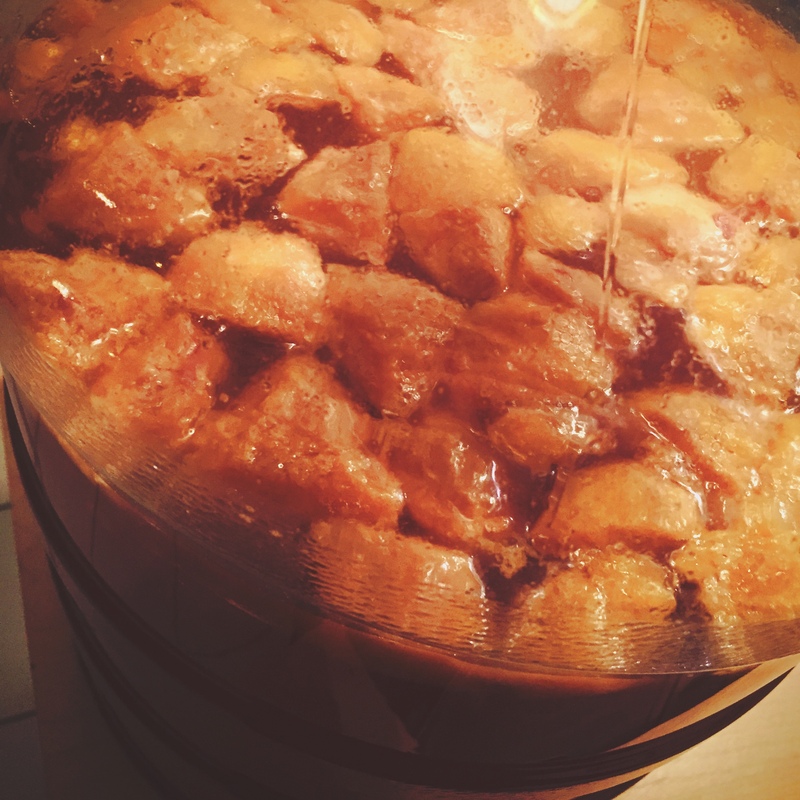 That got it going again, so a week later I dropped in a pound of nectarines, and 5 days after that I racked to a keg. My plan was to lager it for a month or so, then add basil just prior to bottling. Since I have CO2 it was a no-brainer to purge it and keep it under gas for that time. The problem came on racking; enough dissolved that it was partially-carbonated when I went to transfer, and the extra pressure caused the siphon to fail continuously. I was wary of overdoing the basil, as I’ve had the odd cask of basil-infused whatever that was undrinkable. It’s a strong herb that can quickly overpower, so I intentionally kept the doses light. 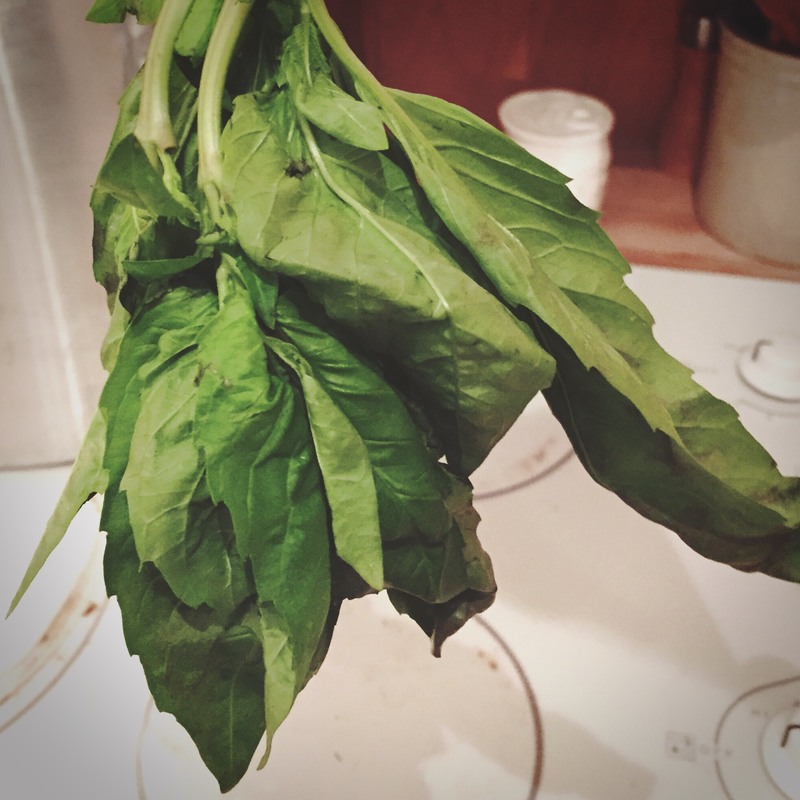 The first day was a single sprig, which I pulled and sampled; it was too light, so I threw in a second sprig for a couple of days, and that was enough to carry a noticeable basil aroma without having it overpower the flavour. After two months it was bottled with a bit of champagne yeast for safety, and primed to 3.5 volumes CO2. I brought the first bottle (at one week) to the VanBrewers AGM; consensus was that when fully conditioned, this has promise.